How Long Will The NordicTrack SpaceSaver SE9i Last? While we do like the added features that come with this elliptical, we are a little concerned about how long the SpaceSaver SE9i will actually last. Granted, this price range is still not considered ideal for our quality standards. One should recognize that the price tag typically indicates the quality and, subsequently, the lifespan of a machine. With that said, the SpaceSaver SE9i does not show promise of a substantial build when compared to our other top models. 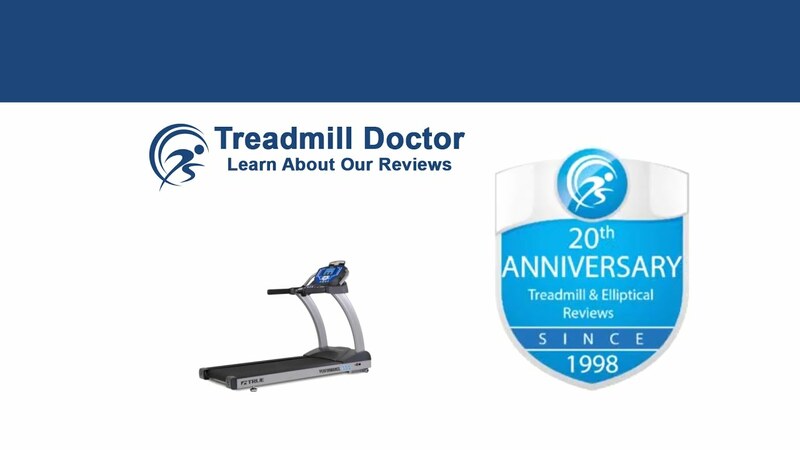 While we do recognize the amount of value in the electronics, the actual mechanics of this elliptical are not likely to promise more than five years of quality use. A light to a light-moderate user is likely to see the longest life out of the SpaceSaver SE9i. Any heavy use or use that is more frequent than every other day is likely to wear down the SpaceSaver SE9i relatively quickly. While we like our women light and bendy, we do not like our ellipticals the same way. We prefer solid structures with quality components. Unfortunately, NordicTrack has given us the light and bendy with the SpaceSaver SE9i. But they have also included a decent amount of enhanced programming and functional features all backed by a decent warranty. Accordingly, the SpaceSaver SE9i has won Second Place among our $1,000 to $1499-dollar 2019 Best Buys. We would like to first air out a few frustrations that we have with Icon, NordicTrack's parent company. We have said time and time again that we are wary of Icon's customer service. It seems as though their website design is also another thing to add to the list. Brands like Proform and NordicTrack (Icon brands) have websites that are almost always missing viable information. The product weight, for example, is always missing; this could pose a problem for consumers who are planning to hire movers. As it relates to the SpaceSaver SE9i, NordicTrack has also chosen to withhold this model's stride length. This is a pretty critical piece of information when purchasing an elliptical. First of all, the stride length helps one figure out how much space the machine will take up when in it is being used. More importantly, the stride length is an indication of whether or not the elliptical can accommodate your specific height. If you are 6’ 9”, you may not even be able to use the SpaceSaver SE9i, but you cannot know that just by looking at their website. If you are shelling out nearly $1,500 dollars for an elliptical, you should be able to know every specification that specifically applies to you. Now that that is taken care of, we can discuss the features we do know of. To start, the SpaceSaver SE9i has a decent number of built-in workouts. This machine also has the ability to incline up to 10% and reach twenty-four resistance levels through an automated system. We also like to see NordicTrack’s five-year-parts and two-year labor warranty as it shows a little extra value that is added to the SpaceSaver SE9i. There are a few features, however, that kept the SpaceSaver SE9i from first place. This model only comes with an eighteen-pound flywheel; the average flywheel weight for this price range is thirty-one pounds. Typically, a heavier flywheel weight indicates a smoother feel and better-quality components as they have to use either more or better metal. Additionally, we are not too pleased with the overall build. The SpaceSaver SE9i has one of the lightest frames which could be an indication of instability and lack of durability. To compound the seemingly weak frame, NordicTrack created this model to be a “space-saver” or a folding elliptical. While folding can be ideal for small spaces, it can also cause a machine to have a weak spot. Thus, the SpaceSaver SE9i is not only built with a less durable frame, but it also has the potential to break down faster than a solid frame. Even though the SpaceSaver SE9i comes with a touchscreen, if the machine breaks down after only a few years, the additional cosmetic features become trivial. Now, there is a slight bright side that lessens the consequences of the lighter flywheel and the weaker frame. NordicTrack did design the SpaceSaver SE9i to have a rear drive system. These drive systems tend to be quieter and a little less shaky as they distribute the weight more evenly which may help to slightly counter-act the poor build. Lastly, we like to add a caution about the iFit subscription. NordicTrack has included the iFit compatibility as well as a free one-year subscription. We count this as a significant added value that helps rank the SpaceSaver SE9i higher than others. With that said, this iFit feature is regarded highly because it is expensive. Once the first year is up, you will have to decide whether or not a roughly $30 dollar-a-month payment is worth the sweaty bodybuilders. If you can’t swing an additional $360 dollars (give or take a few) a year, then your SpaceSaver SE9i loses a significant portion of its value. Our other reviews on the SpaceSaver SE9i have highlighted this model’s upgraded design. We have said that NordicTrack has kept their same basic mechanical design but have enhanced the electronics and added a touchscreen. We have not liked how high NordicTrack has priced the SpaceSaver SE9i, but we have still found it to be a good machine. We do have our concerns about this elliptical's frame and mechanical makeup as they do not seem to be the best quality. But we also recognize the additional features like the added workout programs, incline ability, automated resistance, and valuable warranty. While we do not like how NordicTrack has designed their website or the iFit subscription that comes after a year, we cannot ignore the additional value in the SpaceSaver SE9i. With this, our 2019 Second Place Best Buy for the $1,000 to $1,499 dollar range will likely suit a light to a light-moderate user well.